Gemma Gylling is a self taught artist who loves animals. She's known for her beautiful coloured pencil illustrations. 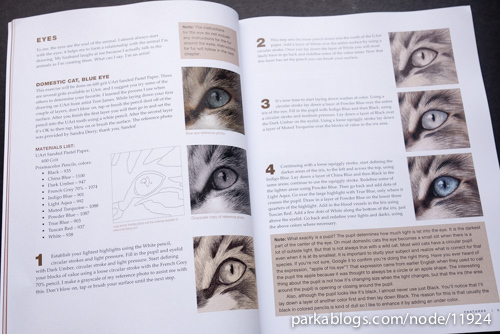 CP Cats deals specifically with techniques on drawing cats. 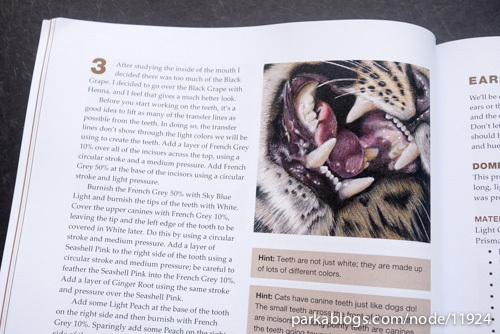 The great thing about the book is that no prior knowledge on coloured pencil usage is required to follow along with the lessons. 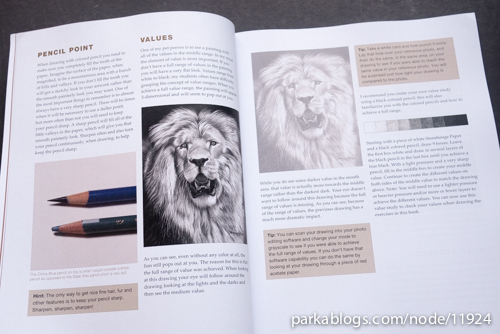 All the basic colouring techniques, the paper and types of pencils to get are all discussed in detail. I like that it's a complete course in itself. This is a 120-page paperback. 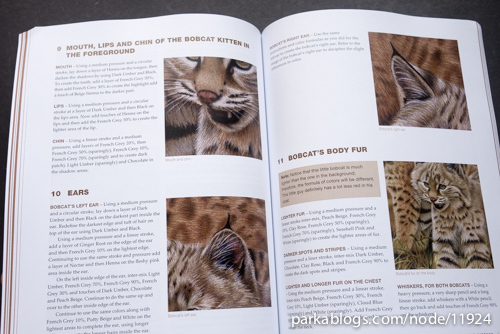 20 pages are used to cover the basics. 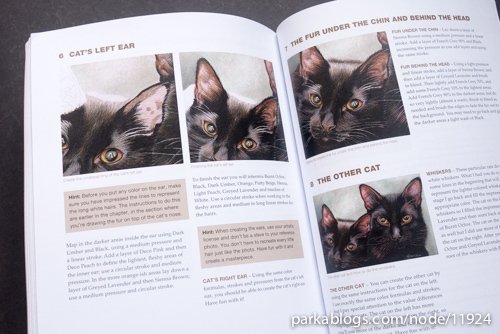 The next 100 pages contain non-stop detailed step by step tutorials. It's very comprehensive. 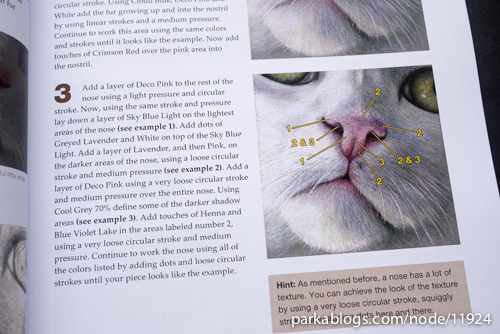 The tutorials teach you how to cover specific parts of the cat, such as the eyes, the fur, nose, whiskers, backgrounds. 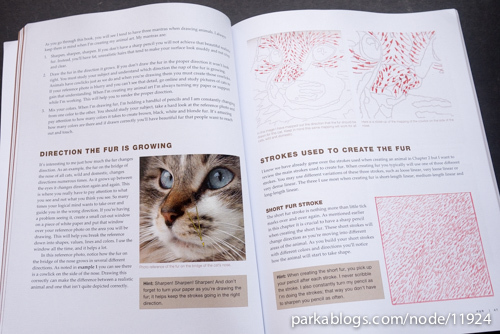 There are tutorials with all cats with all sorts of fur, colours. The colour pencils she uses are Prismacolour. Specific colours used are all mentioned. 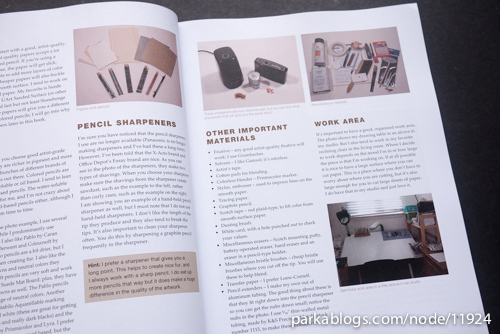 The instructions overall are really detailed and easy to follow. The instructions not only cover the techniques but also explains the rationale behind. And all the artworks in the book are so beautiful. I can almost feel the fur. 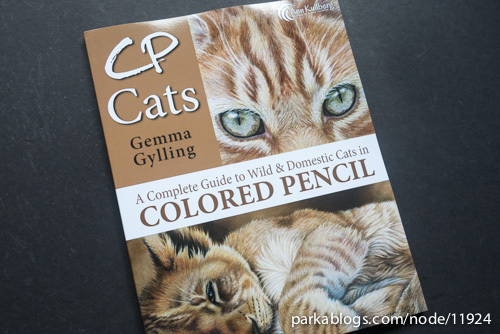 This is an excellent coloured pencil instruction book. 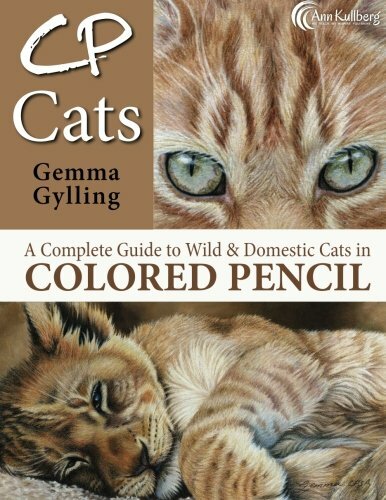 By the way, Gemma Gylling has a video tutorial course on drawing pet portraits on Craftsy called Pet Portraits in Colored Pencil. That's a course to check out if you want some video instructions.